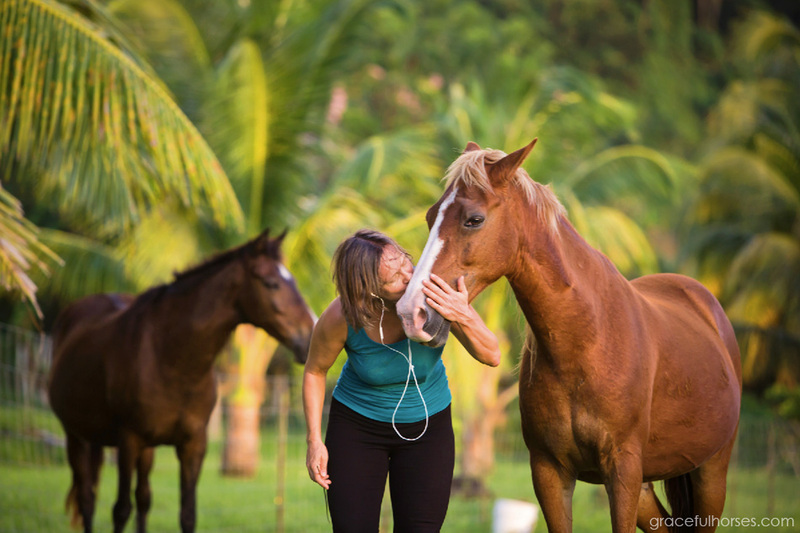 I believe horses are on this planet to help us find our own way back to ‘Source’ (or however one prefers to call the place where nothing but love exists). With remarkable patience for humankind, these incredible animals invite us constantly to join them in a state of oneness and pure connection. In their majestic presence, our hearts synchronize rhythms with theirs and slow down, so we can fully surrender to the moment. 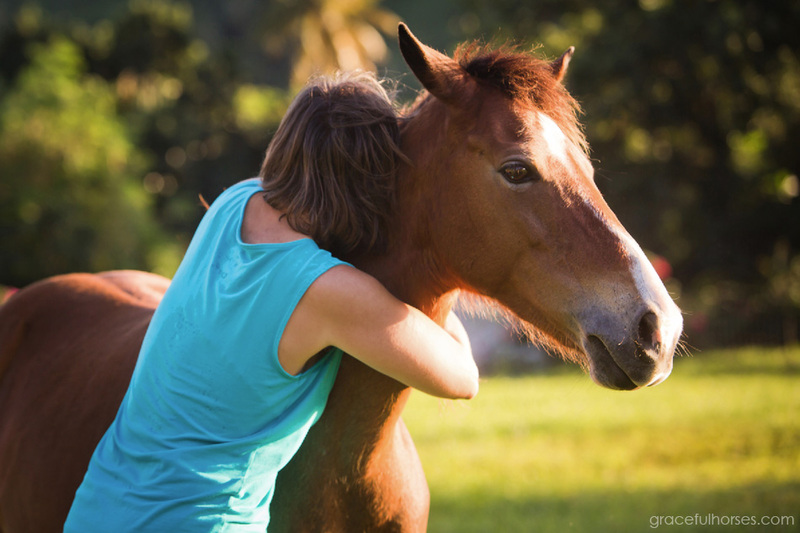 All that horses ask of us is to stay open to who they are; to partner with them while respecting their deep need for freedom; to understand that, when treated as equals and seen for their immense sensitivity, they are so very willing to come our way and never leave our side. Then the dance can begin. 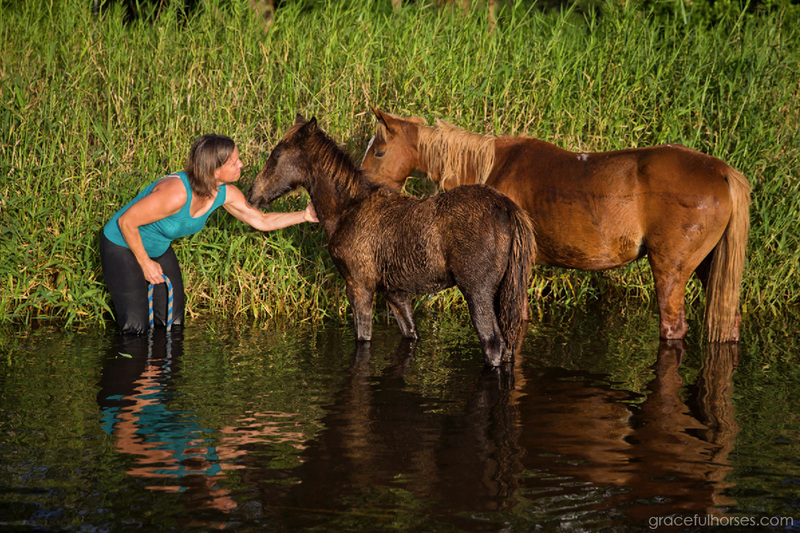 A few years back I was guided to learn about Stina’s amazing story with a herd of abandoned-turned-feral horses and, as it often happens in my life, I just knew I had to meet her. And I finally did: this past January I traveled to the lush and scenic St Vincent island. Stina’s experience with this herd, unfolding over a period of more than 10 years, is not easy to describe in a few paragraphs…like any personal journey, it is a complex story of patience, constant search and learning, resilience, openness of the heart and of course, the transformative power of love. 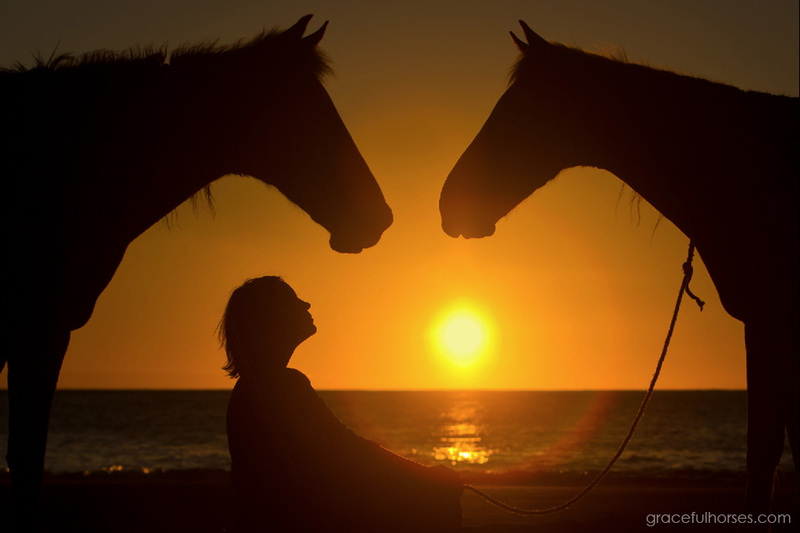 Stina’s journey with horses began at the age of ten when she fell in love with her first equine friend. Over the years she worked with Icelandics, trained trotters for race, took dressage and Western lessons and rode in India, Morocco and Mozambique. Originally from Norway, Stina was brought to St Vincent in 2007 by a job opportunity: to lead the ‘Richmond Vale Academy’, which is an educational institution training activists from all over the world to fight global warming and global poverty. 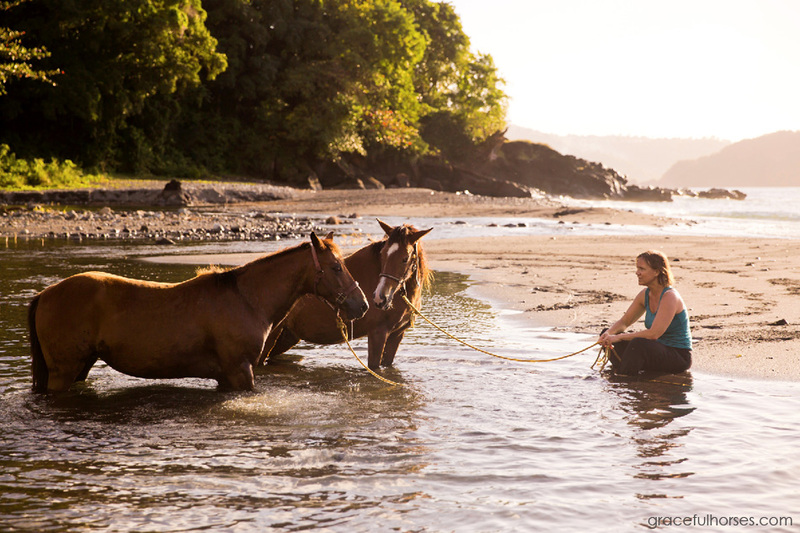 Soon after her arrival on St Vincent, Stina encountered a herd of feral horses. 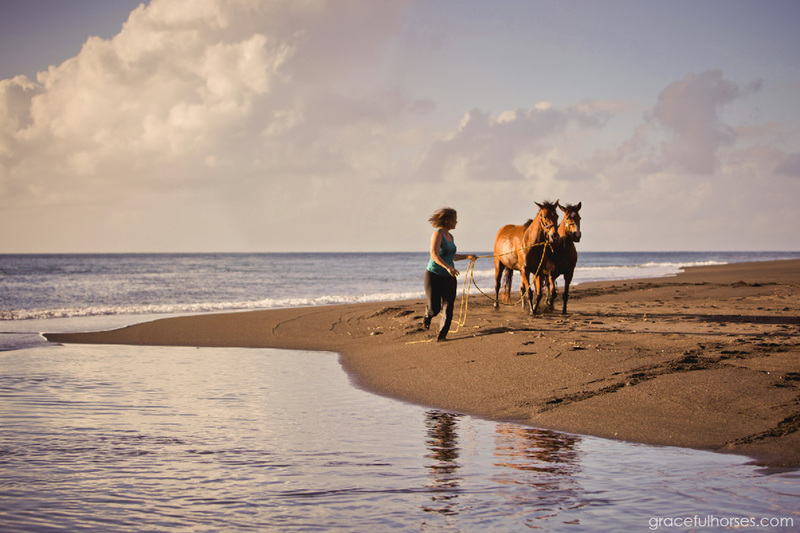 Brought over to the island 8-10 yrs prior and originally meant for trail rides, the horses were abandoned by their owners and left to survive the hard way. The original herd had sixteen members, but nine had already died. The last seven survivors were brought to Richmond Vale. And the journey began. Stina’s beloved mares Magic (left) and Helena (right) love a late afternoon bath! But the horses were still distant, seemed frightened and even showed signs of aggression at times. Faced with behaviour she had not previously encountered, Stina had to reconstruct her approach and find new ways to connect. 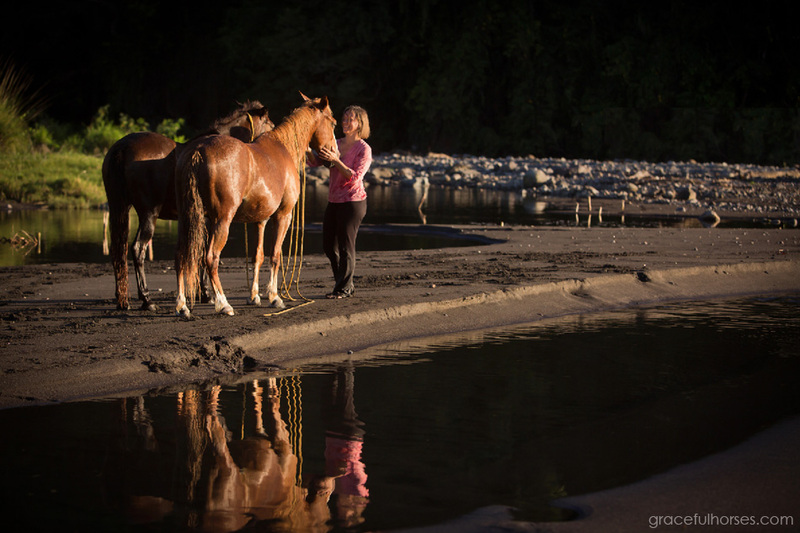 For weeks to come, Stina had spent time observing the herd dynamics without interference and began to get insight into the horses’ language. Stina and Jack love a good run in the open field! I really enjoyed my walks to the beach with Stina and her herd and captured their playfulness on camera, while contemplating the deep trust they have for each other. so, these horses are now very open and welcoming of all humans. I felt so much peace and joy around them, I could not wait for the mornings to come, so I could visit them again. I was very touched by their gentleness and could see my own soul in their loving eyes. The horses came this far simply because a human was willing to be there for them in the most understanding and compassionate of ways. 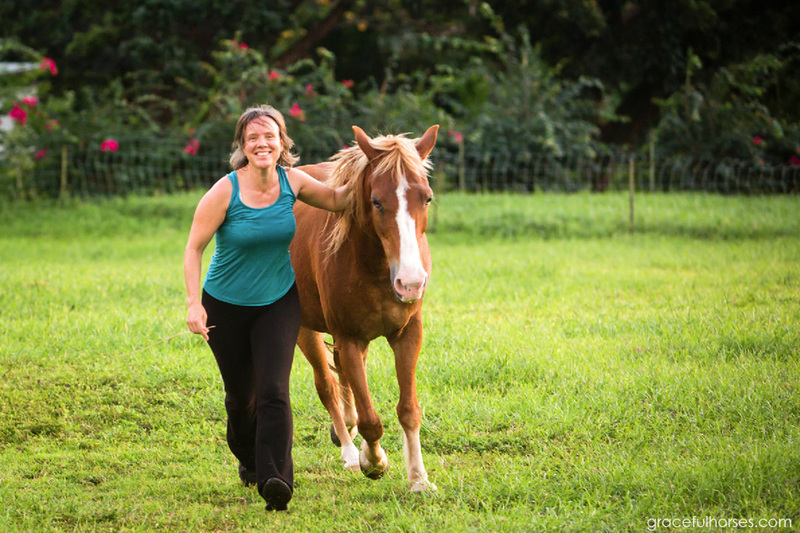 Stina’s profound knowledge built through the interaction with her rescues is now an inspiration to many. 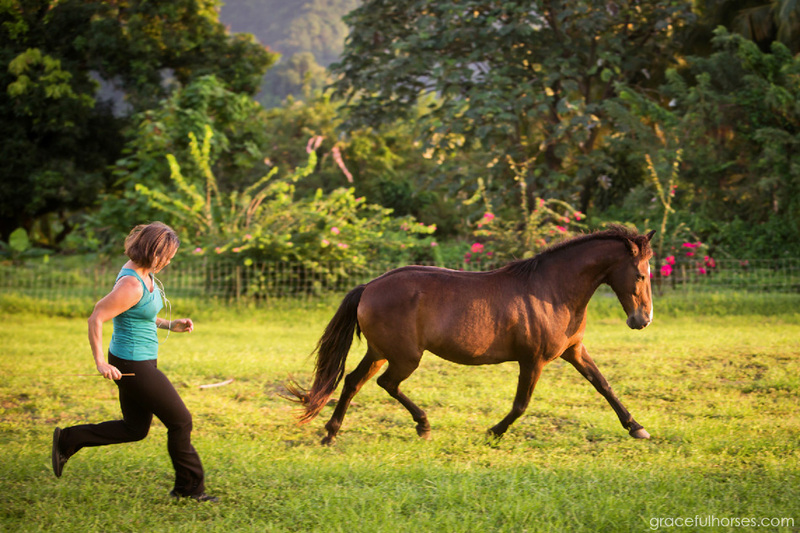 Students from around the world visit Richmond Vale where Stina teaches the language of horses and how to work with them at liberty. Every December Stina also offers the unique ‘Sahaja Liberty Training Clinic and Retreat’. To my delight, she invited me to co-host this year’s clinic (December 1-5, 2018). I look forward to creating magic together! For more information, visit Stina’s website at www.stinaherberg.com.